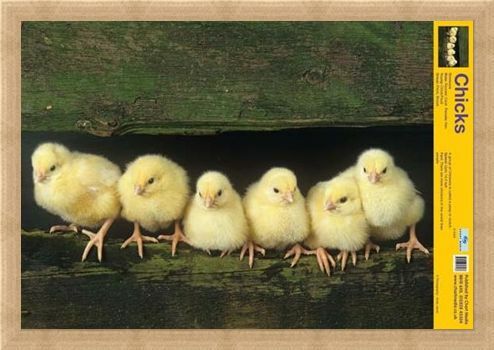 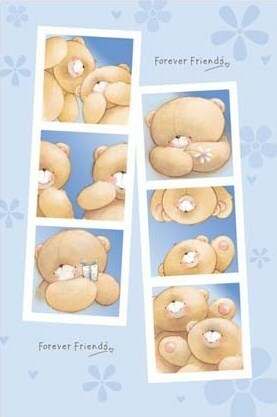 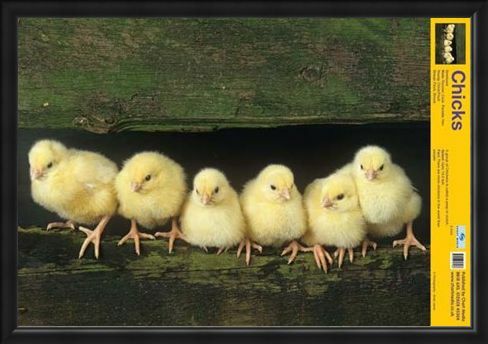 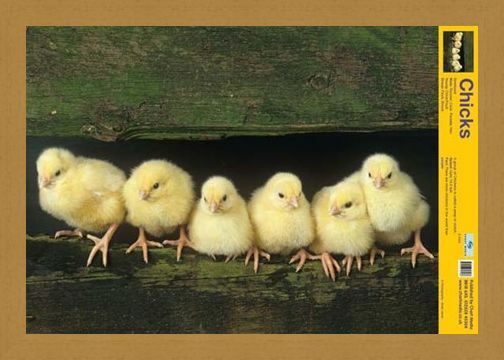 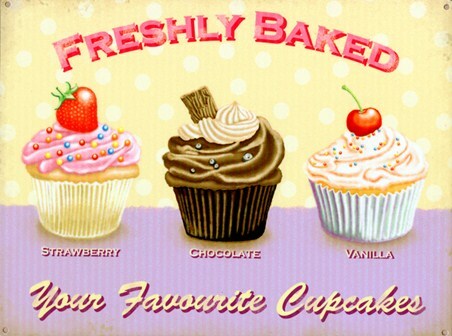 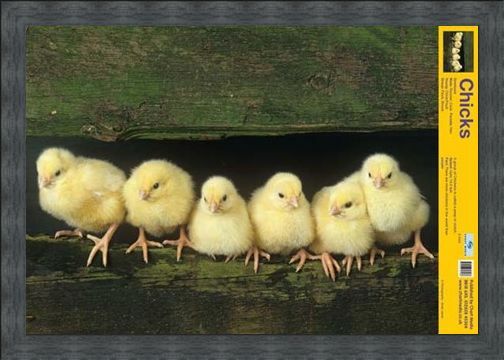 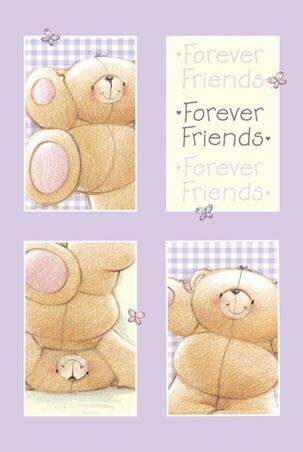 Educational Mini Poster: Six adorable little chicks perch themselves on a log as they huddle together to keep warm. This lovely poster is a must have for children who are learning about animals whether it is at home or in the class room and with it's mixture of pictures and facts, it is sure to keep children of all ages entertained and eager to learn. 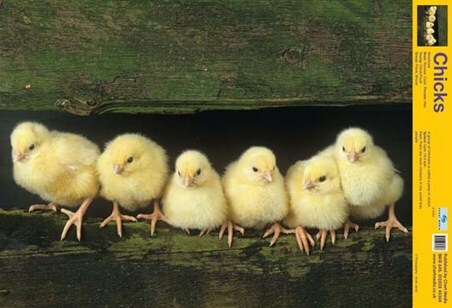 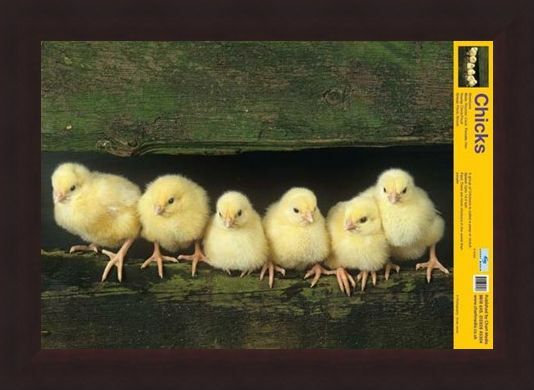 The main section of the poster shows a gorgeous photograph of six baby chicks and to the right there is a section full of facts about these adorable little animals including their weight, habitats and ways of life. 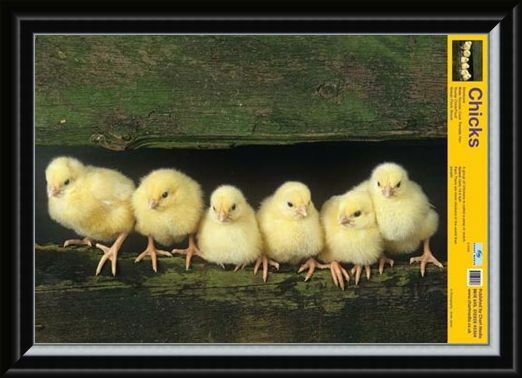 A must have addition for your child's education which is sure to keep them a step ahead when it comes to learning about their favourite farm animals. High quality, framed Cute Chicks, Your Favourite Farm Friends mini poster with a bespoke frame by our custom framing service.